Waffles and football anyone? Not normally something I’d think about together, but that’s all going to change today! Eggo is traveling around the country with their Waffle Truck Bar and it’s officially here in Florida now! I’m heading there this week and I can’t wait to see what’s in store, but my mouth is kind of watering right now just thinking about it. 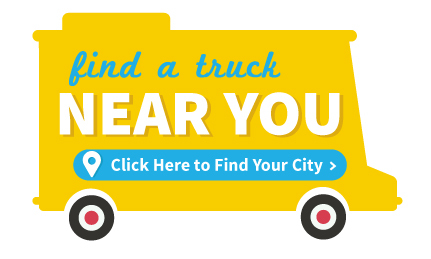 Check out this Waffle Bar Truck locator to see when you can make your visit at a local Walmart, too. 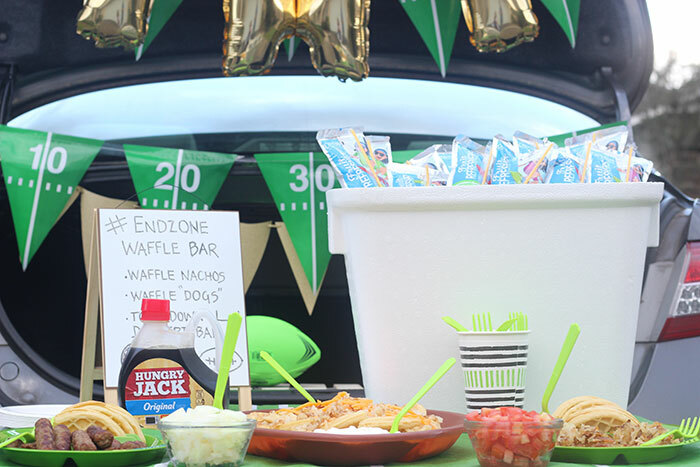 Speaking of waffle bars and food trucks, I’m sharing more ways to enjoy waffles with my EndZone Tailgating Waffle Bar Party ideas! Good eats and football viewing parties just go hand in hand if you ask me. 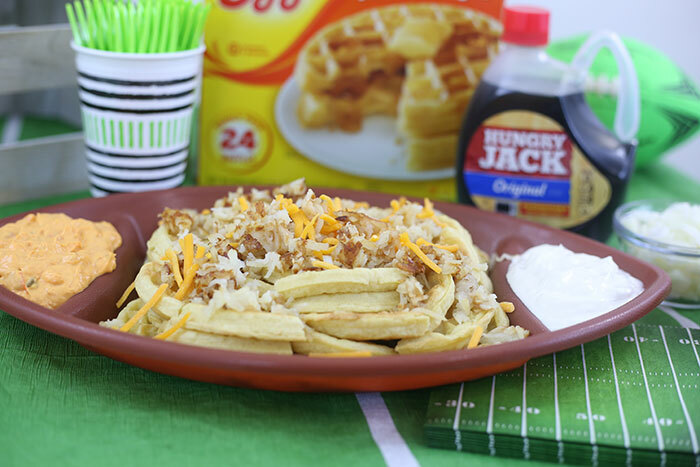 I have some yummy savory ideas to share and then we’ll serve up a delicious “touchdown” waffle dessert bar for a fantastic finale. 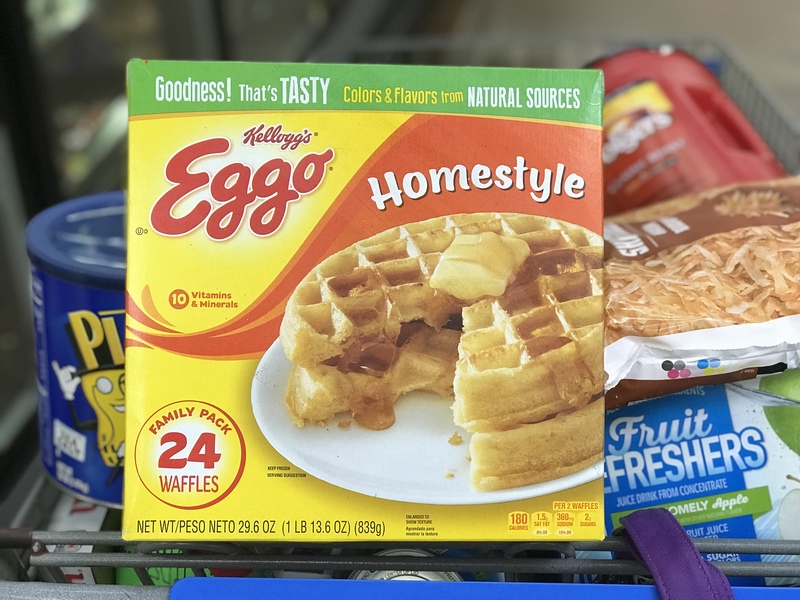 The star player in all of my Tailgate recipes is Eggo Homestyle Waffles and I also have some great news to share. Eggo waffles now have no artificial flavors and colors from natural sources! So let’s get our creativity on with these tasty game day eats. 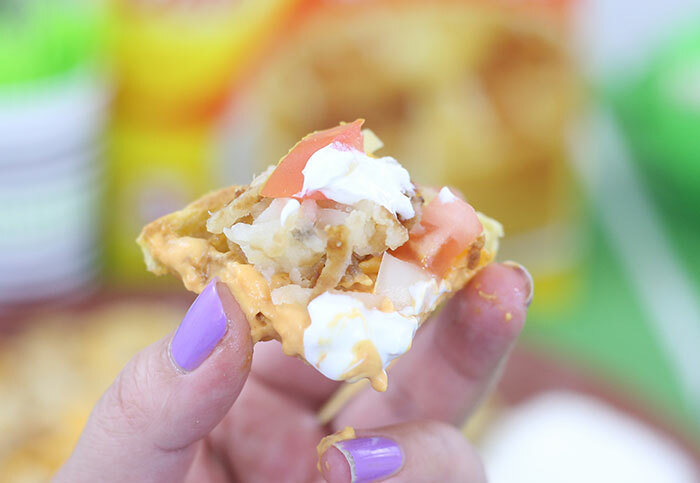 The sky’s the limit when it comes to how you can create savory waffle nachos. Start by toasting Eggo Homestyle Waffles and cutting into four equal wedges so that they are nacho shaped. Once your waffles are toasted into nacho ready shapes, it’s time to add some toppings. Serving size 4 “nacho” waffle wedges with toppings. 12 servings per recipe. 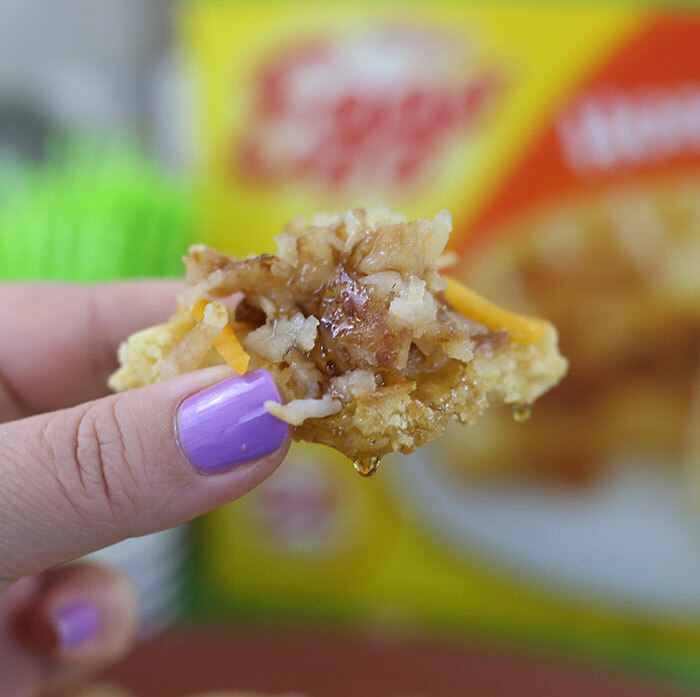 Waffle Nachos with Hungry Jack® Original Syrup for a sweet bite. Cheese dip, sour cream, chopped tomatoes and onions for a more savory flavor. Yum. These are so delicious! Next up, a simple idea that I call “waffle dogs”. 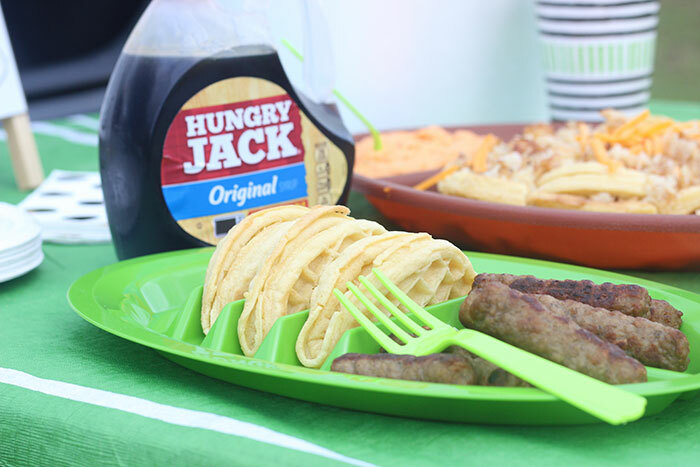 This breakfast inspired food is a fun way to make your tailgating party memorable. Here is how to turn your Eggo Homestyle Waffles into the perfect portal for sandwich style fillings. Preheat your oven to 375°. Defrost desired amount of frozen waffles in your microwave. Turn your muffin tin upside down and fold each waffle gently in half and press each waffle into the creases. You should be able to make 9 for each batch. Bake for 8-9 minutes until gently crisped. Remove from the muffin tin to cool. Serving size one waffle with one sausage and a drizzle of syrup. 12 servings per recipe. I found these great taco serving plates at Walmart that were perfect for serving these on a party table. 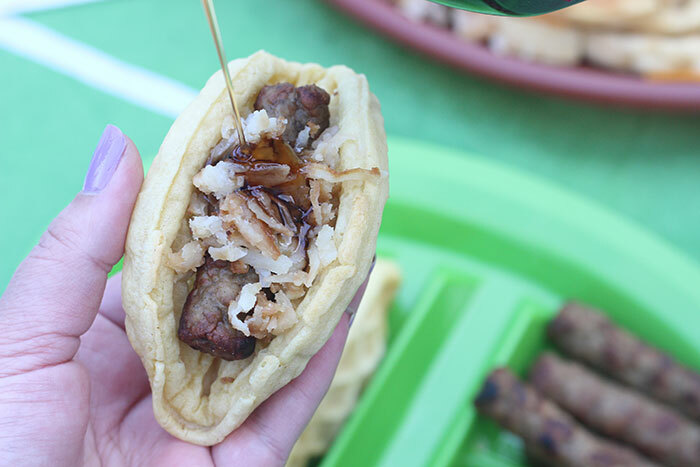 Serve up breakfast sausage to complete your waffle dogs, of course. Then offer toppings like Hungry Jack® Original Syrup, shredded hash browns, shredded cheese, chopped tomatoes and onions to take these to the next level. Feeling thirsty yet? 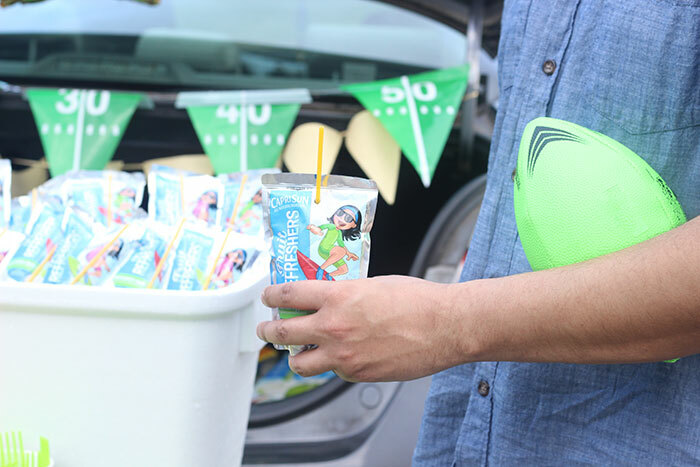 Don’t forget to fill up a cooler with beverages to sip on. Capri Sun® Fruit Refreshers make for a convenient and tasty option. With flavors like Awesomely Apple and Very Berry Punch, there will be something for everyone. No need for cups, because you can just pop in the straw and they’re ready to drink. Score. 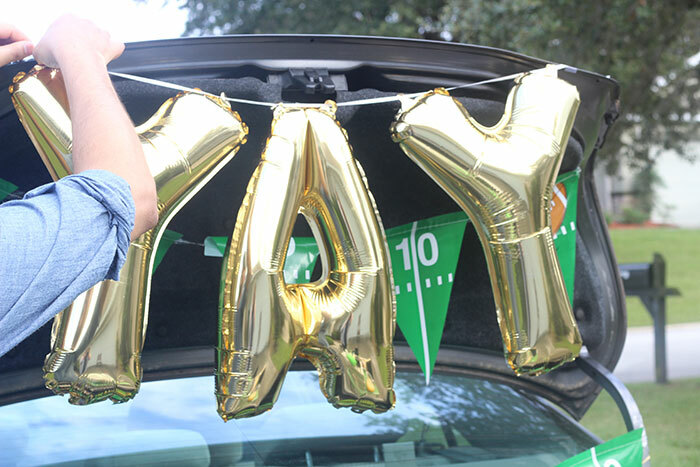 Time to end off our tailgating party with something extra special. 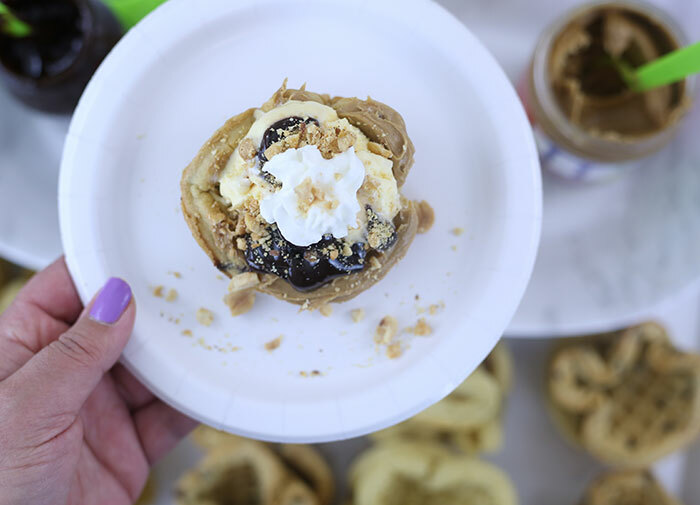 First we’ll make the perfect waffle cups and then we’ll top them off with a spread of mouth-watering options. 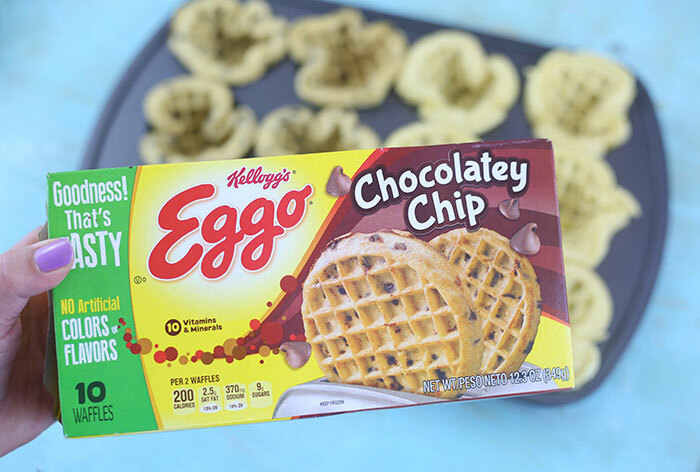 For the waffle cups, I used Eggo Homestyle Waffles and Eggo Chocolatey Chip Waffles to give guests options. Here’s how to prepare them. Preheat your oven to 375°. Defrost desired amount of frozen waffles in your microwave. Spray a muffin tin with non-stick cooking spray. 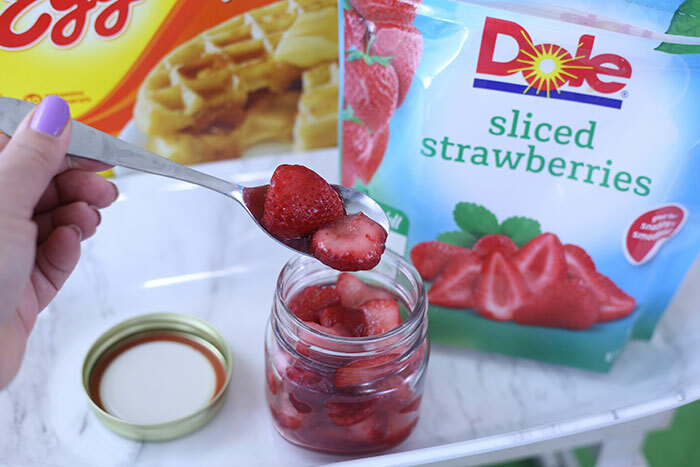 Press each waffle delicately into each cup of your muffin tin. Bake for 12-14 minutes until crisped.Remove from the tin to cool.This makes 12. Repeat the process if you would like to make more. Waffle Cup Dessert Recipe with Ice Cream. Serving size one waffle “cup” with toppings divided equally. Waffle Cup Dessert Recipe with Fruit. Eggo Chocolatey Chip waffle cup filled with peanut butter, ice cream, hot fudge, whipped cream and crushed peanuts. Ooh la la. 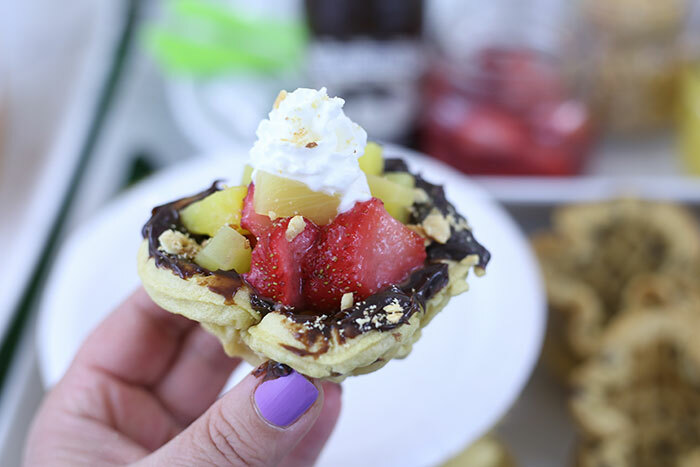 Eggo Homestyle Waffles dessert cups filled with hot fudge, strawberries, pineapple, whipped cream and crushed peanuts. Mmm. 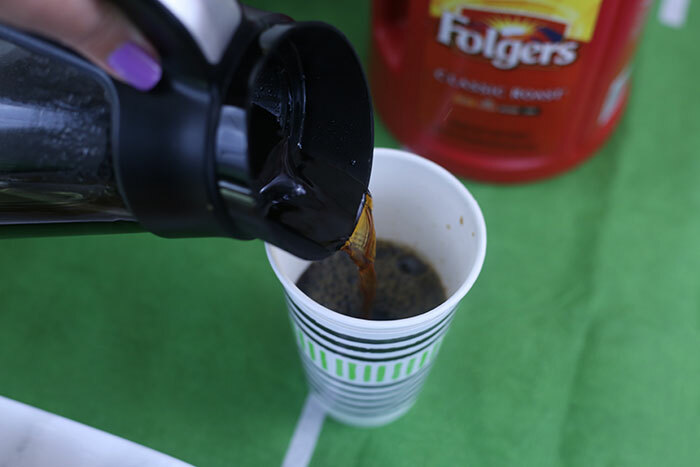 Don’t forget to serve up fresh brewed Folgers Classic Roast Coffee with your dessert. Definitely the perfect combo. I have to admit, decorating for parties is one of my very favorite things to do. I loved the decorations that I found at Walmart. The first thing to do is figure out your color scheme. You could use your team colors or do a green, white and gold theme like I did. I love the classic green and white football decorations, but I wanted to make them pop a little more by using some gold highlights. This YAY balloon I picked up was completely perfect for this. Then, it’s all about banners to really deck out the back of a vehicle. Since, generally trunks aren’t the most beautiful things ever, banners really help get them party perfect. I used a mix and match of traditional football decorations with a glittery gold banner. It balanced out really well. 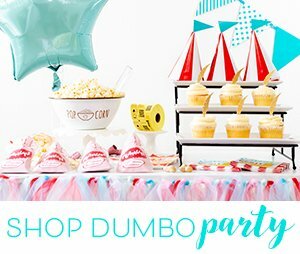 Head to Walmart to shop for your next Waffle Bar party! From food to decor, they have it all. Check to find a Waffle Bar Truck near you for more delish waffle inspiration! The truck is making it’s rounds in Florida from now till January 2018! 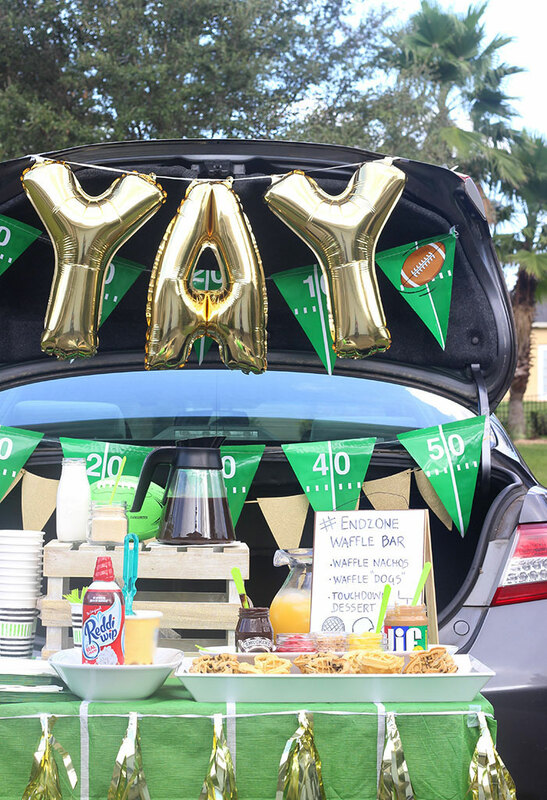 How would you give a waffle twist to your tailgating celebrations? I’d love to hear your ideas. I love this idea! This will be a huge hit for our next tailgating! Now THAT is cool! I love waffles and one of the newer snack places in the mall is all about piling high your waffles. So, this sounds amazing to me! I am all about the sweet and savory! Your waffle bar ideas are exactly what I crave. A little sweet, and little salty. Toally yummy! Oh, my! Everything looks sooo good! I would never have paired some of those things with waffles, but now I want to try it! Love it! Those waffle dogs are so much fun! You did an awesome job with this set up. 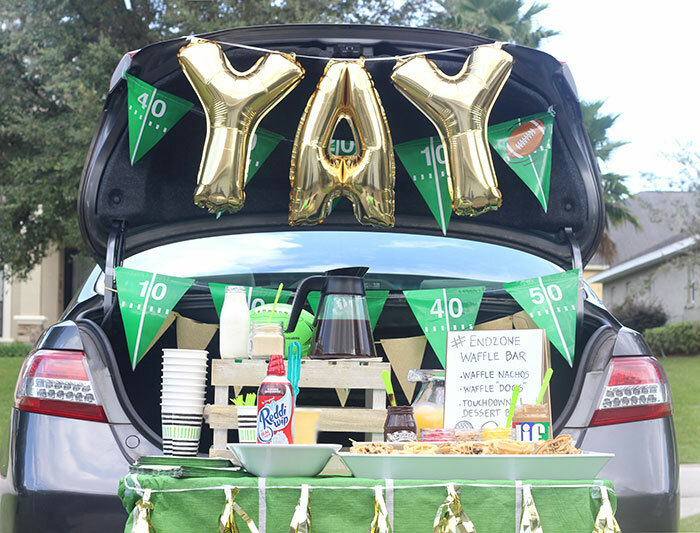 It looks a super cool idea for a tailgate - especially since sometimes we start tailgating SO EARLY! What a great idea for a waffle bar! I love how you made them into cup shapes for the toppings! 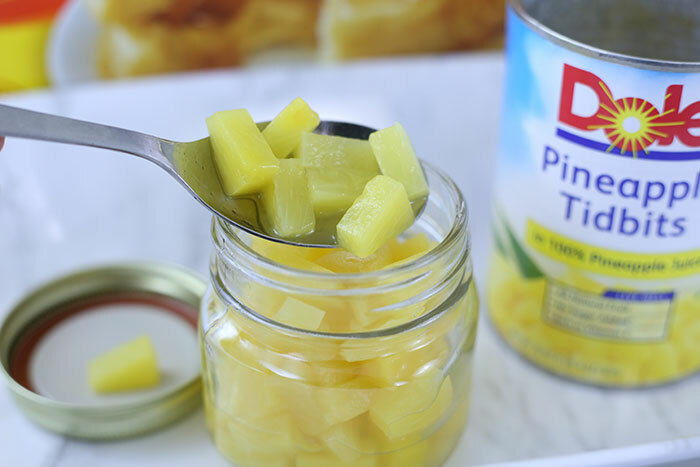 This is the cutest idea ... and delicious too! I love the nachos idea ... totally making that for a weekend brunch! 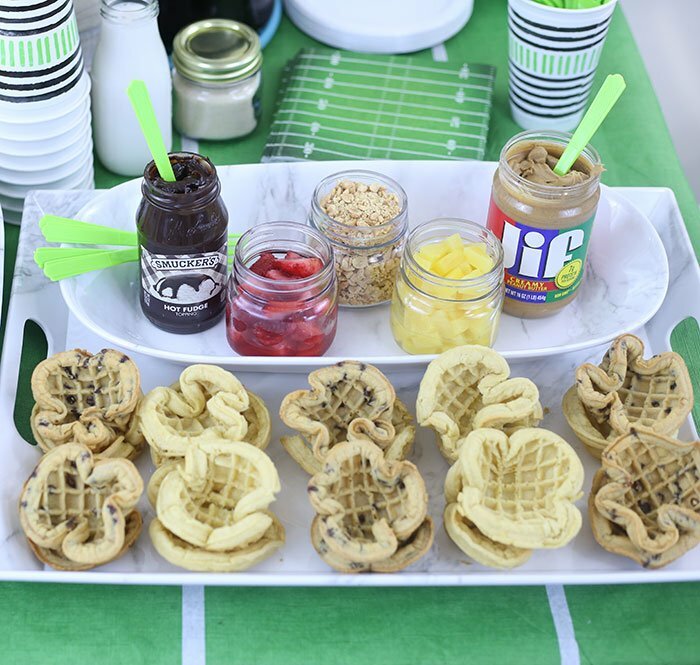 What great idea to serve a waffle bar on a tailgating event. Super creative and fun. Thanks for yoru participation on this shop ~ client. I love the idea of a waffle bar! I mean, who doesn't love waffles? I can't wait to try this. 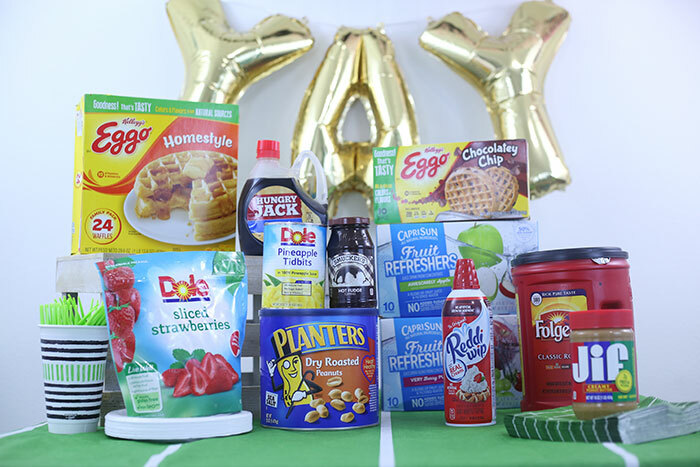 It is amazing I never knew you could make a seven course tailgate meal with waffles in so many different shapes and flavors. The best of all time is chicken and waffles though. 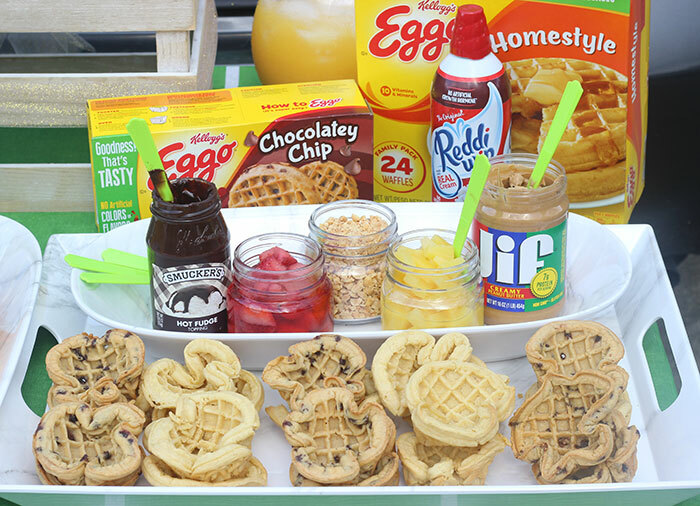 I would've never thought about making a waffle bar party for a tailgating. It's not a bad idea! It's cheap, it taste good, and you can have as many as you want and put as many toppings on as you want. 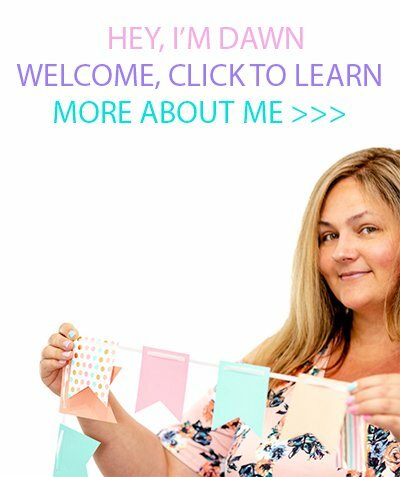 I want to be invited to your next tailgate party! This looks epic and amazing. A waffle bar!? That's genius! Who doesn't love waffles!?! And the waffle dog - so creative! I wanna come to your party! Yessss! This is the best tailgating idea EVER! Waffles are the best food on the planet, and I love all the different ways you can use them that you showcased here. I've never thought of doing some of these. DEE-lish!